Would you like to know some interesting facts about lightning? Well, it’s a beautiful sight to see all right, but it’s also rather dangerous and unpredictable, and can be quite impossible to predict. Today scientists all over the world are gathering information on lightning, monitoring the temperature, and even creating it artificially in laboratories. This article will tell you some interesting facts about lightning. Did you know that each year, our earth experiences almost an average of 25 million lightning strikes? This is during an average of 100,000 thunderstorms! That roughly translates to almost a hundred lightning bolts per second. Makes you quake in your shoes, doesn’t it? You would also be surprised to know that when lightning strikes, thunder can be heard from about 12 miles away from the starting point. 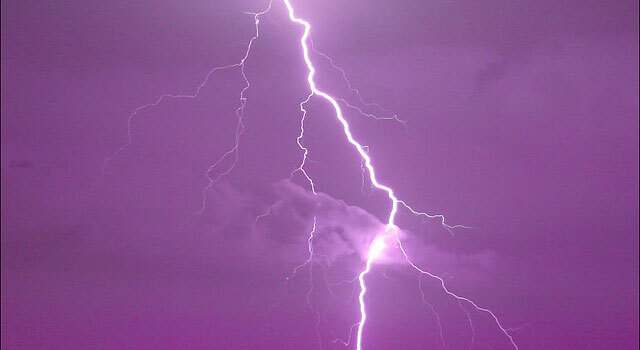 The average length of a bolt of lightning is almost a quarter of a second – and there are 3-4 strikes usually.